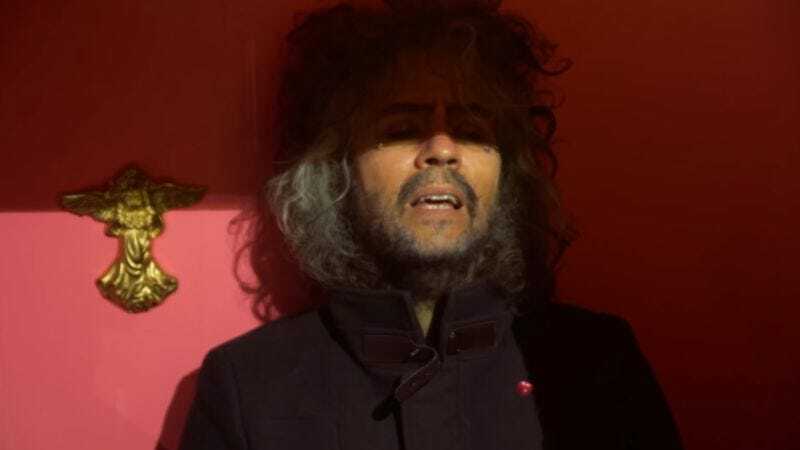 "Sunrise (Eyes Of The Young)"
In roughly a month, The Flaming Lips are set to release their latest album, Oczy Mlody, the band’s first non-Miley Cyrus-related release since 2013’s The Terror. Today, the band released a video for the quasi-title track from their latest effort, with a hallucinogenic video for the spacey, pleasantly meandering “Sunrise (Eyes Of The Young)”—the latter phrase being a rough translation of the album’s “broken Polish” title. Oczy Mlody comes out on January 13, which is also frontman Wayne Coyne’s birthday. To celebrate, the band is kicking off a world tour the following week, covering Europe, the U.K., and much of the United States.